Friday, October 5, 2012 . Happy Friday everyone! As you guys have probably heard by now… I’m in the process of putting together my first cookbook! This week has been a whirlwind of shooting and planning, you can check out my facebook to see some of the behind the scenes. 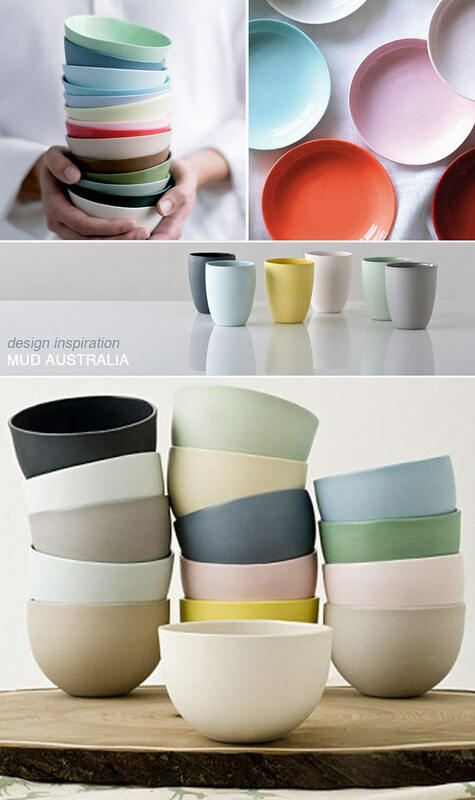 I’ve been on the lookout for amazing vessels for the shoots and these gorgeous porcelain bowls, cups, pitchers, plates and more from Mud Australia have certainly been on my radar. I love the candy colors and that they’re created for “everyday use.” Beautiful and practical, just my favorite kind of vessel. Shop here! If you’re in New York make sure you check out their new store in Soho (91 Crosby Street). I can’t wait to visit! Check out the gorgeous space here.